Black Friday is almost here. It’s a great time to score some deals, but don’t go at it willy-nilly. 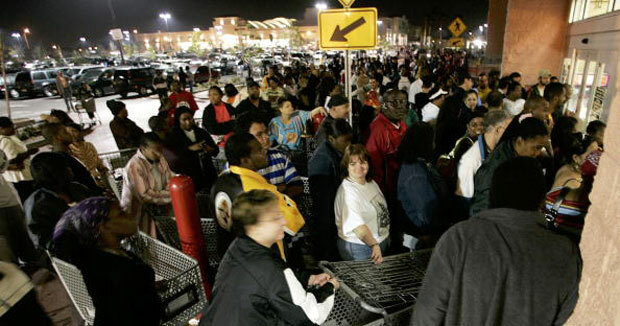 Follow these 5 simple Black Friday rules to avoid the scams and wasting time. What we call doorbusters, stores call loss leaders. These items are heavily advertised and retailers will lose money on them. Because of this, the doorbuster items are generally older products repackaged as something new or current models stripped down to the bare essentials. Take a look the advertised doorbusters this year. Best Buy has a notebook for $197, but it’s built around a Celeron CPU. Walmart has a $78 Magnavox Blu-ray player, but is only Profile 1.1 compatible. These are older items with a new model number. They will probably work, but you’re not getting a gadget worth your time. The goal of these doorbusters is to draw in people that will hopefully buy other merchandise and extended warranties. Just because it’s Black Friday, it doesn’t mean everything is on sale. In fact, a lot of retail stores mark up items from their standard price hoping to squeeze a little extra out of unknowing shoppers brought in by the doorbuster items. Other retailers like jewelery or specialty stores will not offer any additional discounts at all. Black Friday isn’t a day for impulse shopping. It’s a day that needs to be carefully planned. Know what you are buying and avoid everything else. Half the fun of Black Friday is the experience of waking up at 3 a.m. and standing in line at Target for a mini fridge that’s $15 off. Fine, but if you’re sane, you’ll shop the deals available now or wait until Cyber Monday instead when online retailers put up their best sales. BlackFriday.info has all of the Black Friday deals listed. Spend some time there and ensure that you’re not wasting your time on Friday morning. For instance, West Marine has the same deal right now on the Garmin nuvi 265WT GPS that Radio Shack will make you wait in line for on Black Friday. Staples is also advertising the Sony Reader Pocket Edition for $199 for Black Friday; it can be had for less online now. Shop around. Shop in groups of three. Two people rush around the store while one person stands in the long line. This works especially well if you’re not the first person in the store. Generally Black Friday involves 5 minutes of crazy shopping and 5 hours of waiting to check out. With this strategy you can get in and out of the store quickly. Black Friday can be scary. Children and small men often get trampled by large women rushing to score special deals. Parking lots are filled with NASCAR drivers and everyone is hopped up on coffee and Red Bull. The best thing to do is sleep right through it, but if you must shop, please be nice. Smile at the cashier. He doesn’t want to be there and hates you for perpetuating the tradition. Smile at other shoppers too because you are all in this together. If you must shove someone out of the way to grab the last $79 GPS at Radio shack, do it gently.